Lee Hawks is the pseudonym of a Canadian writer. The manager tells me to disable the location services on my phone. But even with it off, they know where you are, a woman across the room counters. She’s bent over the lid of a Tupperware container that serves as a tray, using her Fiskars, a gardening scissor commonly used for trimming marijuana, to deftly snip off the serrated leaves from the cannabis bud in her hand. Bits of green leaf are scattered on the tray and stuck to her leggings; her apron is covered in crystals of THC, the chemical compound, responsible for the high, that coats the plant like pollen. About ten of us are huddled inside the attic of a rancher house located on a two-hectare piece of land in the backwoods of western BC, a few hours east of Vancouver. The air in the room is dank and pungent. We’re sitting in a circle, removing the leaves, stalks, and stems from the cannabis flowers to improve the taste and enhance appearance. Once cannabis is harvested, it’s all hands on deck to process the buds as quickly as possible to keep the product fresh. It’s the fall of 2008, and this is my first day trimming. I’m here because I’m between jobs and need to make some quick cash. We’re being paid $200 per pound of groomed product. Most people in the room trim two pounds a day, but I struggle to meet that target. The woman across the room easily does twice this amount, expertly twirling the bud in one hand as she snips with the other. She tells me that twirling saves the snipping hand—engaged in repetitive movements during our fourteen-hour workdays—from overextension. She soon becomes a mentor of sorts, instructing me in how to survive the trim scene. I learn to sheath my phone in a Ziplock bag to protect it from residue, to place scissors in a jar with the right combination of oil and isopropyl alcohol to keep the blades clean of gummy resin, to wear layers of throwaway clothes and latex gloves. How much you can trim is based not only on your speed but also how tight and compact the manager wants the product to look, as well as the type of plant with which you’re working. Sativa-based strains tend to be lighter and sparser than indica-based ones. 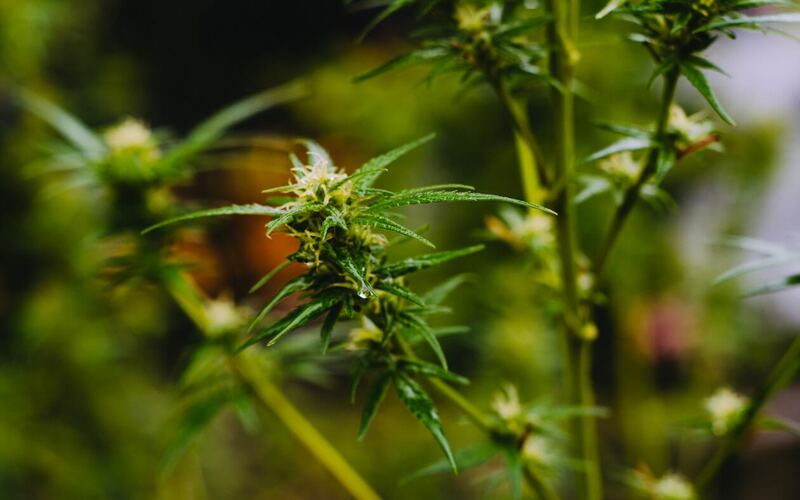 Some strains require more work to shape and remove the two types of leaves: sugar leaves are small and stick out between the buds like a shirttail, while fan leaves have sawtoothed edges—the universal symbol of marijuana. In addition to factors like strain and whether it’s grown indoors or out, how a bud looks will determine how high a price it fetches in today’s competitive market. Trimmers are essential in the production of marijuana, and the quality of their work is inherent to its value. The gig lasts about ten days. I come away happy to have $3,000 in cash in my pocket, for work that—while physically taxing—is fairly easy and repetitive. But, more than that, I’m intrigued. I’ve just been introduced to an underground workforce—one that has been operating quietly for decades. 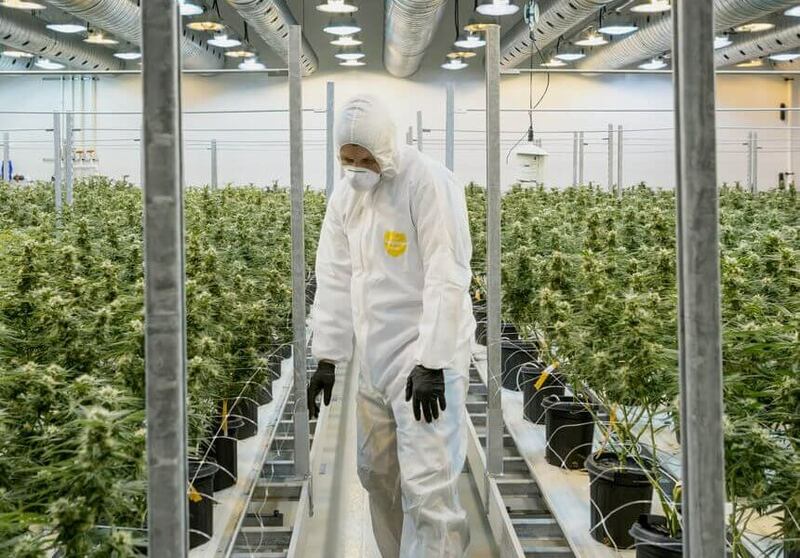 Based on my experience working in this underground industry, there are likely hundreds of people involved in this seasonal labour in BC, and I estimate thousands more across the country who trim indoor-grown weed. Because the work is illegal, it’s hard to get exact numbers. Still, many trimmers I’ve met agree the best place for this line of work isn’t in Canada but in California. Willow, an artist in her midthirties who lives on the Sunshine Coast north of Vancouver, has been trimming for almost twenty years. She started as a teenager on some of Northern California’s more-established farms, back when the state legalized medical marijuana in 1996. Every fall, she goes to the state to work in the US’s largest marijuana harvest. She lives most of the year off the money she makes there. A decade ago, she tells me, trimmers were paid $250 (US) a pound; she could make up to $1,000 (US) per day and have steady work for at least a month each year. Those were the glory days, she told me, when growers would bring in professional chefs to cook for trimmers, and the trimmers would be given massages. She remembers trimming around the pool at a house on the beach in Malibu, drinking cocktails. This is the type of glamorous gig people come to California hoping to find. It’s the lure of big money that, in 2010, made me quit my teaching job, where I earned only enough to live paycheque to paycheque, and take the risk of working south of the border. I go with a friend who has met the manager, and we’re promised we’ll be taken care of. At the border crossing, we tell the agent we’re taking a fall vacation. From there, we drive to a place near Ukiah, a few hours north of San Francisco, and spend the next three weeks in the garage of a typical suburban home. At first, I’m nervous, and I keep a bag containing money, my passport, and a change of clothes with me at all times so that I can run in case of a bust. But nothing happens. We’re paid $200 (US) per pound, fed delicious meals, beer and wine is bought for us, and we’re taken to a nearby hot springs to restore our aching muscles. I’m one of the slowest trimmers there, but I come away with about $5,000 in cash and bring it over the border in chunks, leaving increments of my money with an acquaintance in Washington. Everything goes smoothly. I cross the border to trim again in 2012. Enticed once more by the money, three of us go to a place where we don’t know the managers personally. A friend has vouched for them, but it’s chaotic. A group of skater boys run the place in a disorganized fashion. They carry guns and big dogs patrol the exposed property. I sleep in my car, and there are no showers or bathrooms; we go outside. The population of trimmers swells and subsides as my clothes get dirtier and my hands sorer. Two local men are caught sniffing methamphetamine and are ushered off the property at gunpoint, all of which I watch happen from the rear window of my nearby vehicle. One friend leaves, but I vow to stick it out. Every day, in catering tents filled with people from all walks of life, I race myself, trying to trim more than the day before. The two of us last a month, and we do get paid, but we have to chase our money down across various suburbs of San Francisco. I come back with about the same as last time, bringing increments of my money across the border again. But, this time, I question whether it was worth it: there were hard drugs, trimmers had valuables stolen, it wasn’t easy getting paid, and helicopters had passed overhead frequently. Medical-marijuana cultivation is legal under California’s state regulation, but federally, it’s illegal. As a nonresident, it didn’t matter whether the farm I was working at was operating within its legal boundaries. I could be arrested. Many Canadians and internationals who work illegally in the state go regardless and without knowing their eventual working conditions. I learned first-hand how stressful this could be. The third and final time I go to California is in 2015. My friend assures me that this scene will be different, as the manager is an old friend. We work on a farm up in the hills outside of Garberville, a small town in the county of Humboldt, that, along with Mendocino and Trinity counties, make up the pot-farm hot spot known as the Emerald Triangle, an area roughly 320 kilometres north of San Francisco, situated among the redwood forests. We’re paid less now, $175 (US) per pound, and we have to camp and share cooking responsibilities, but there’s a pleasant sense of community with the other trimmers who have worked together before. It feels safe here; the property is hidden beneath trees at the back of a long dirt road with multiple iron gates, and we’re paid regularly. I’m faster now, and because the crop is a bumper, I average close to three pounds per day. I come back at Christmas after two months of work, the longest I’ve done, with $15,000 (US). It’s this year that I’m first introduced to the terms trimmigrant and scissor drifter. Garberville is inundated with roaming youth looking for this type of work, holding up cardboard signs in front of laundromats and gas stations with pictures of scissors or “will trim for weed” scrawled in marker. There are more trimmers than trimming jobs, and the number of people that fly in each year is disruptive to the small community, which lacks that facilities to support them. Jason Valentin, then vice-president of the Humboldt Medical Cannabis Union, told Mercury News in 2014 that between 7,000 and 12,000 seasonal trimmers are needed every year to manicure the approximate 100,000 plants on the surrounding hills. I’m surprised by how open marijuana culture is here. On the radio are ads for fertilizer and irrigation supplies pertaining to the cannabusiness. The marijuana industry is so commonplace here that many wear their weed-coated work clothes into town. It’s easy to recognize a grower or trimmer by the smell that lingers around them. There’s an unspoken acknowledgment between the guys dressed in Carhartts driving Toyota Tacomas, the girls in printed tights with scarves draped around their necks, and the gangs of unkempt twentysomethings clustered around dusty vehicles who have just come down off the mountain. In the stores, they’re the ones buying organic foods and designer chocolate with rolls of cash. Once, when we’re buying enough groceries to last us a few weeks, the cashier raises his eyebrows at our stockpile of food and asks what we’re doing there. He laughs knowingly when we tell him we’re camping but says nothing—marijuana is Humboldt’s economic backbone. In 2017, when Willow last went to work in California, trimmers were expected to buy and cook all their own food. There was one outhouse and an outdoor shower, and she slept in a tent. She was paid $150 (US) per pound. When she checked around, she discovered this was the new status quo. In fact, there were rumours of trimmers being paid as low as $100 per pound. Some trimmers will work in exchange for weed and are just happy to have a place to stay and be fed. Every year, there’s a new crop of trimmigrants with lower and lower expectations. Unfortunately for Willow, the harvest was subpar, and she struggled to finish a pound per day. She left after two weeks, staying just long enough to recuperate her costs. A poor crop can make any situation intolerable. I say goodbye to this surreptitious line of work for good in the fall of 2016. Trimming is no longer sustainable. My body hurts, and I have carpal-tunnel-like symptoms in my snipping hand. It’s also been awkward keeping these trips a secret from family and colleagues. I do one last season in Canada, as I don’t want to endure the stress of crossing the border under America’s new administration. I work for a few weeks in Nelson, the epicentre of seasonal weed work in British Columbia and the long-time home of BC bud, thanks to the draft dodgers in the 1960s and ’70s. Both the places I work are disappointing. The first is a cold basement where I’m paid $20 an hour. I leave after two days. This is the one saving grace about this work: you can leave without notice. The second is better in terms of people—the room mostly full of women in their thirties like myself—though not in terms of money. It lasts a few weeks and is a sort of cooperative. The various growers come in and out of the cabin with large garbage bags of stalks. At night, they hike up the forested slopes of a nearby provincial park to cut down the crop they planted in the spring, fill up oversized rucksacks and hockey bags, then haul the plants back down to the van for transportation to the property. One of the main complaints in the trim room is of how little money people are making. Also, some work at bowl trimmers, which are devices resembling a salad spinner that trim the buds. Bowl trimmers do a rougher but faster job. I make the least amount yet for hours worked. We’re paid $25 an hour but have been dinged for breaks and meals, which we’d originally been told were included. Matt, one of the growers, later tells me that this season was the worst yet, due to the brokers. Brokers are crucial for growers—they’re the ones to find buyers for the product. They have the connections but also the bargaining power. This season, they were only offering $500 per pound on behalf of the buyers. I’m told this is half of what they were making a few years ago. This was due not only to a saturated market but an increase in quality. The hardier outdoor strains weren’t as attractive to buyers as curated indoor strains. The prospect of big and easy money and, yes, the inherent adventure was gone, replaced by average wages for illegal work for which I could still be arrested. The benefits no longer outweighed the risk. Other places my friends were working had gone the same route. With the country embracing the legalization of recreational marijuana this year, growers are experiencing the effects of a sort of business Darwinism as the larger players establish themselves. A once boutique black-market industry largely populated with smaller-scale growers has given way to a saturated grey market. As prices continue to drop due to the green rush, the black market may largely die out because it will no longer be viable. Paying trimmers, let alone feeding and housing them, represents one of the costliest aspects of growing. Still, some operating in the black market believe that it cannot die: there will always be connoisseurs who want a specific product they can’t procure from the legal market. In Colorado, legal trimmers earn around $12 (US) an hour and pay taxes. In black-market grows, here and in the US, it’s approximately double. With legalization in Canada, the pay scale is bound to go down, making trimming more like any other low-paid farm work. And, like much of farm work, marijuana production is likely to become mechanized. Working in Nelson was the first time I’d seen the salad spinners, and I now know acquaintances that still work in the underground industry who are being paid just to “buck” the stalks, removing the buds from the stems to be processed by the machines. As the industry is regulated and trimming becomes industrialized, perhaps it will also one day be mechanized, and trimmers will become largely obsolete. If that happens, the gold rush of trimmigration—the thousands of trimmers seeking this illegal, high-paying work—may soon be a thing of the past.